Is there any paperwork or document for the mechanical systems of 1230 Wellington St E, Aurora, Ontario? I need more information about the property at 1230 Wellington St E, Aurora, Ontario. How ist the neighborhood, location and nearby amenities for 1230 Wellington St E, Aurora, Ontario? I have questions about the roof, foundation, insulations and mechanical issues of 1230 Wellington St E, Aurora, Ontario? I need more information about property details. What's wrong with this house? Is this a short sale? Is there any maintenance for 1230 Wellington St E, Aurora, Ontario? What is this property worth in today's market? What are "closing costs", and how much? What steps should I take when looking for a home loan? What price home can I afford? Is my credit good enough to buy this house? What are the best mortgage options for me? How flexible is the seller on the asking price? How low can I consider offering for 1230 Wellington St E, Aurora, Ontario? A Must See Gorgeous & Bright Freehold Cozy 1 Year Townhome In Auroras Most Desirable Community. Main Floor 10, 2nd Floor 9 Ceiling. Loft Can Be Converted To 4th Bedroom. 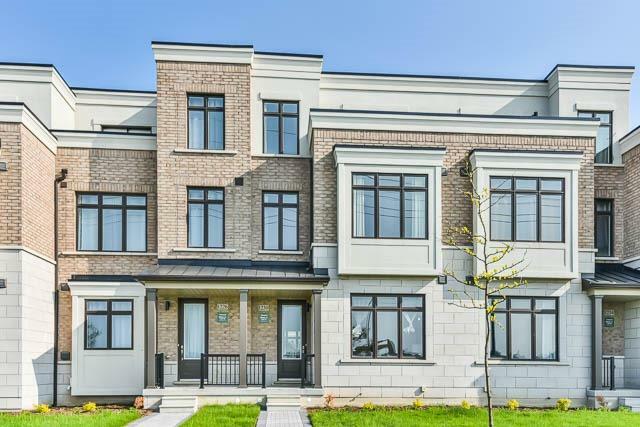 Mins To Shopping, Restaurants & Hwy 404, Schools, Rec Centre, Transit, Go Station, Parks And More. Upgraded Granite Kitchen Counter Top, Open Concept Layout,Long Driveway Can Parks 2 Cars. Move In Condition! Extras:S/S Fridge, S/S Stove, S/S Dishwasher,S/S Microwave, Washer/Dryer, All Existing Elfs & Window Coverings,Garage Door Opener.